Aoki and Tujiko's collaboration began in 2002 when they were both booked the same event for The Cartier Foundation in Paris, got talking and began working together on the track 'Fly' for the first time. As they worked, it quickly dawned that they both really liked what they were doing and so decided to extend the project to an album-length collaboration. Yet following that show, the pair found little time to work together because Aoki was at the time living in Osaka whilst Tujiko was in Paris. As a way around this problem, they began sending their audio files to each other as CDRs, working separately on ideas and then sowly building their tracks bit by bit. Consequently, it took a long time to finish this album, although the process sped up when Aoki also moved to Paris. 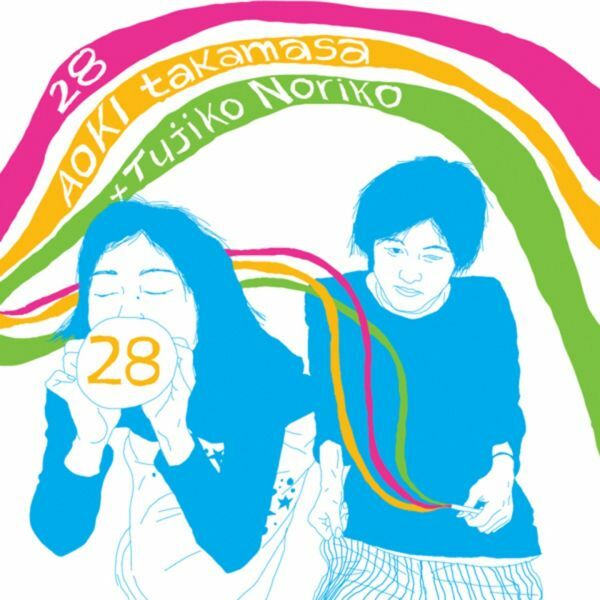 Whilst '28' marked the first time the pair worked together on a recording, AOKI has previously released four albums on the Japanese-based Progressive Form label and one on Cirque. Somewhat better known to European audiences, Noriko has released albums on Mego, Sub Rosa, Tomlab, all of which have received glowing and considerable coverage. Aoki and Tujiko played together as a live duo a number of times, including Fondation Cartier in Paris 2002, Sonar Festival in Barcelona in 2003, Prague and Italy in 2003 and Toulouse 2004.